Liszt completed the work in 1853 and published in 1854 with a dedication to Robert Schumann, German composer and influential music critic, widely regarded as one of the greatest composers of the romantic era, in return for Schumann’s dedication of his Fantasie in C major, Op. 17 (published 1839) to Liszt. Valentina Lisitsa (born 1973) is a Ukrainian-born and trained classical pianist. She is among the most frequently viewed pianists on YouTube and is often praised as a highly commendable pianist. Lisitsa followed a unique path to success, independently launching the beginnings of her career via social media, without initially signing to a tour promoter or record company. Lisitsa began playing the piano at the age of three, giving her first solo recital a year later. She gained a place at the Lysenko Music School for Gifted Children and later studied under Ludmilla Tsvierko at the Kiev Conservatory. In 1991 she won the first prize in the Murray Dranoff Two Piano Competition together with Alexei Kuznetsoff, and she now resides in the USA. Lisitsa has performed at leading international venues such as New York’s Carnegie and Avery Fisher halls and the Vienna Musikverein. In May 2010 she made her debut with the Rotterdam Philharmonic Orchestra playing the Dutch premiere of Rachmaninov’s “New 5th” Concerto, and in August 2011 her debut with the Orquestra Sinfônica Brasileira under Lorin Maazel. 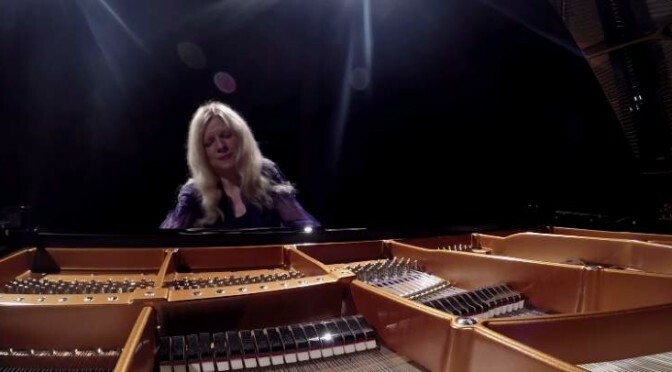 With more than 175 million YouTube subscribers to her channel (as of March 2015), Valentina Lisitsa is one of the most watched classical musicians on the internet, using digital innovation to champion classical music and performance. Impressed by her YouTube success, the Royal Albert Hall, in an unprecedented step, opened its doors for Valentina’s London debut on 19 June 2012. That concert, recorded and filmed by Decca Classics, became her first release on the label; it was also Google’s first-ever live HD stream. Further 2012 engagements included concerto appearances in Rotterdam, Munich, Mexico City and Sicily, as well as recitals in Europe, North and South America.